A common argument against graffiti painters is that old, boring statement: anyone can draw on walls. Well, anyone can draw on paper too, but we’ve only had a few Picasso’s and Van Gogh’s in our time. One of the most characteristic contemporary artists today, Dem189, is a walking and talking proof of how that aforementioned remark makes no sense. 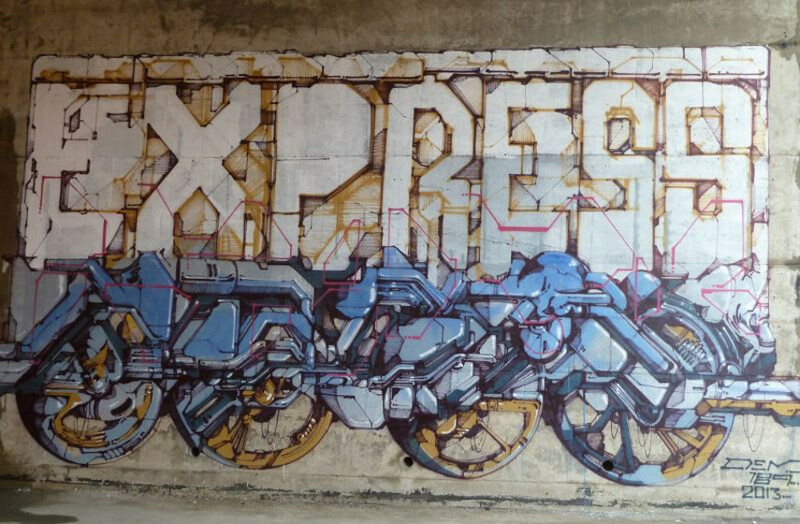 His unique graffiti’s are some of the most original pieces of modern art we’ve seen in a long time and that makes Dem189 one very influential artist – if only he was not anonymous. Luckily, his artwork is more than capable of speaking for him. 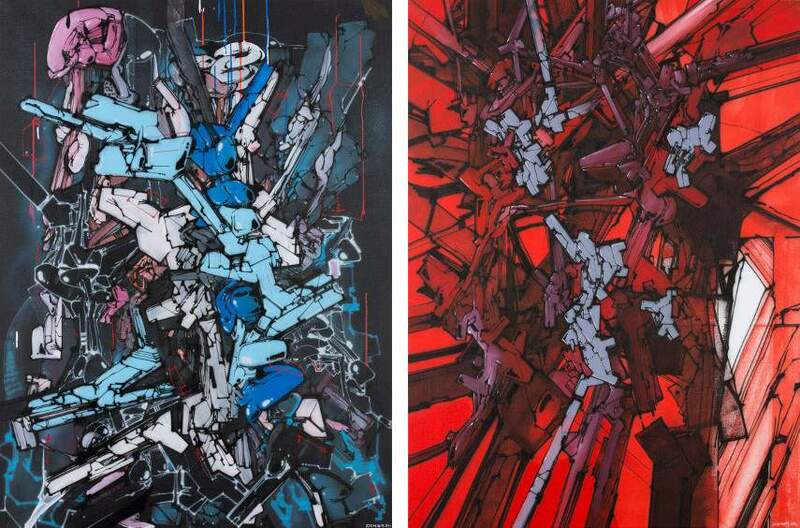 Dem189 is a Beirut-born contemporary artist whose work unpredictably evolves between lettering, illustration and abstraction – all combined in a unique Science Fiction style of graffiti that put Dem189 on the map of Street art for good. Influenced by countless inspirations, Dem189 has managed to create both an unusual and distinctive world often dealing with the juxtaposition of organic and mechanic. Growing up in Beirut, Lebanon, Dem189’s early childhood was marked by the armed conflict and many bad things that go along when two countries decide it’s time to wage war with each other. Confined at home while terror was ruling outside, the artist had created his own universe using Legos and sketches. This little, private world was an escape from the harsh reality that was all around Dem1189 and it will later serve as the basis for his graffiti. Fascinated by war and tales of machines used during conflicts, young Dem189 also put on paper his fantasized weapons and war crafts – genesis for his future practice. In the late 1980s, Dem moved to the capital of France, where he discovered a whole new urban biotope with different rules and cultures. And no war. Thrilled by the perspective of this new safe life, Dem189 got into graffiti in his early teens. He ran away from the war zone but it never left him – the artist needed to keep channeling his inner fascinations. And Dem189 did that by painting urban environments with graffiti unlike anything the street has seen before. Dem189 graffiti’s are hard to pin down to any one particular style – as is the case with many of his colleagues. Integrating diverse movements from punk rock to heavy metal, electro to hip-hop, switching from one to the other, he developed his own artistic way of expressing himself. 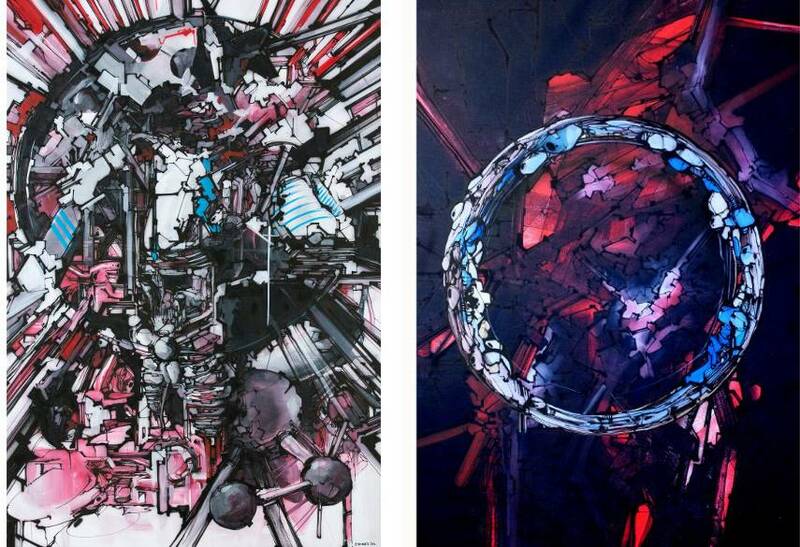 A strong sense of the mechanic and the Science Fiction can be noted in his work. As did all the artists before him, Dem189 is constantly evolving and expanding his creative horizons, bettering his work in the process of expanding his portfolio. Dem189’s detailed pieces have decorated numerous walls around the globe. Internationally recognized, he refuses to limit himself to any particular movement constantly experimenting with new technique and tools. Inspired by the non-human element of the places he has visited, Dem’s oeuvre incorporates buildings, streets, objects and all things that create a human environment except for people themselves. This can probably be attributed to the desperate attempts of a boy trying to come to terms with his country’s war. Even in those extremely rare examples when human beings are depicted, they are usually reduced to basic forms without any signs of life while mechanical items take the main place in the artworks. Over the last several years, Dem189 has been working on paintings and installations in an abstract style, parallel to his graffiti world. As was mentioned before, Dem189’s graffiti can be found all around the world. This, of course, means that this particular artist travels a lot – which is pretty logical when you remember how he departed from his original home. It’s always hard to settle new roots. 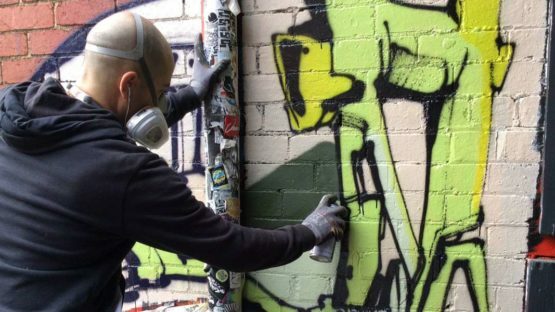 The artist has recently moved to Melbourne, Australia, where he has continued working on his graffiti. The second largest city of Australia provided an excellent place for Dem189 to expand his creative side. After the great success of his first big solo show Mécanique animale in the gallery of Mmartproject during 2014, Dem189’s next solo exhibition in his new residency was at Backwoods gallery. Entitled Ricochet, the exhibition featured installations and numerous works on paper or canvas. Dem189’s youthful fascination by armed conflict is discernible at Ricochet show and it consists of highly detailed artwork that resembles robots or weapons of the future. 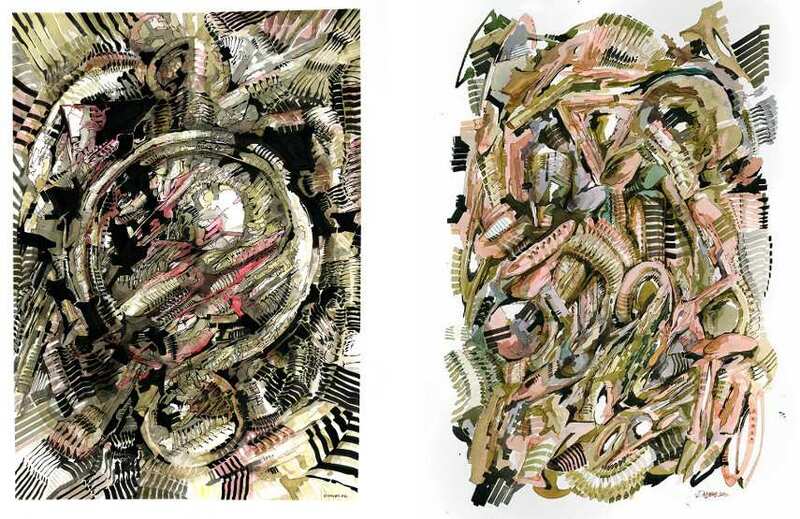 Dem189’s work was included in many exhibitions and festivals around the world on numerous occasions, as his artwork does not seem to get boring at any point. Which probably must be one of the biggest laws a graffiti artist must keep to. The tale of Dem189 is a poetic one, almost sounding as a fable of some sort – a young boy with a tragic past escapes the horrors and settles in a new land where he falls in love with something new which he later redefines from the ground up. And make no mistake, the pieces Dem189 performs on walls are reestablishing the genre of graffiti. There was nothing like it before him and even if there were glimpses of similar artwork before Dem189, he brought it to a level of mastery. And did so in only a couple of years. As was mentioned before, it’s a real pity he stayed anonymous. But, who knows, maybe one day he’ll reveal his identity and shed some new light upon his work. Until then, just enjoy his graffiti – it’s not a hard thing to do. The artist is represented by Mmartproject in Paris, France. Dem189 currently lives and works in Melbourne, Australia.